A recent IDG survey showed the case for artificial intelligence is compelling. It’s all aimed at automation and insights, but needs a champion to succeed. 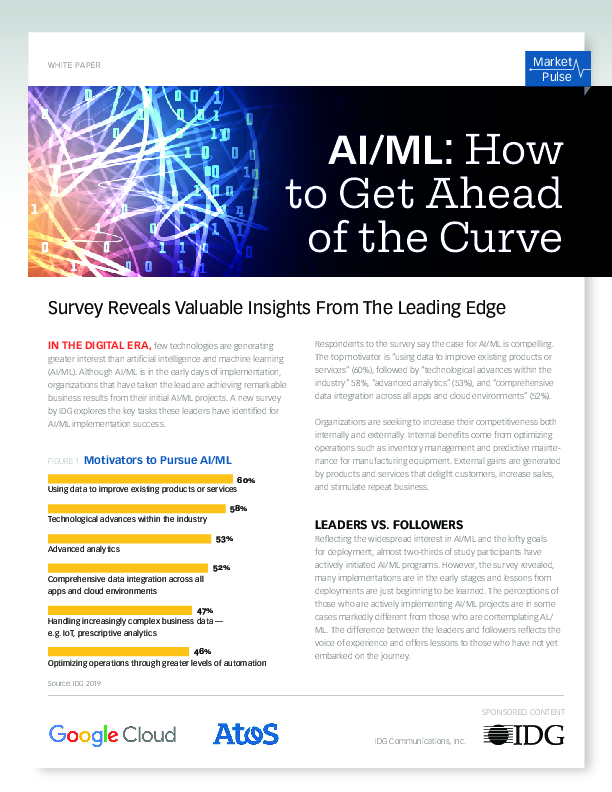 Learn how to get ahead of the AI/ML curve with the insights from your peers and research sponsor Google Cloud and Atos in this exclusive Market Pulse white paper.